When Should I Start My Wedding Registry? If you’re not sure when to register for wedding gifts, here’s where to start — whether you're having an engagement party, bridal shower or neither. The question's been asked, the answer was yes, and wedding plans are in the making. But when to register for wedding gifts? This can be a tricky question. After all, the point of the wedding is spending happily ever after with your intended, and you don’t want to come off looking greedy! That being said, your friends and family will be looking for a wedding registry to celebrate your love—and to avoid showing up at your engagement party, shower, or big day with a gift you won’t love. If you’re not sure when to register for wedding gifts, here’s where to start. How do you set up a wedding registry anyway? 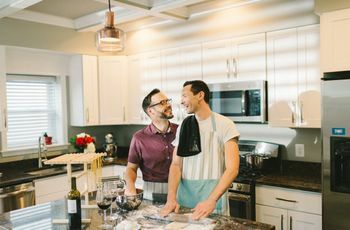 Here’s how to register for a wedding: Visit stores (no more than three) or choose an online retailer with a registry option, set up your account under your names, and select gifts that fit your couple style and your newlywed home. Sound overwhelming? WeddingWire Registry lets you add and manage your traditional retail registries (that fancy blender from Macy's, a sound system from Amazon, etc. ), while also allowing you to add experiences and funds in that same registry — essentially creating a one-stop-shop for you and your wedding guests. 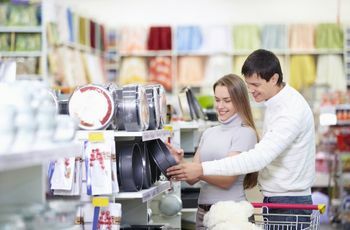 The most important thing about creating your wedding registry is first deciding which type of registry is right for you and your soon-to-be spouse. It’s tricky to figure out when to register for wedding gifts right after you’ve said “yes,” but an engagement party can be a great catalyst to get your wedding gift list started. Try to set up a traditional registry or a WeddingWire Registry within a few weeks of getting engaged, or at least two to three weeks before an engagement party. But don’t worry about having a completed or large registry to start things off. When you register for gifts at this stage, start with enough items for the number of guests invited to the engagement celebration, but keep in mind you can always update and add to your wedding registry as the big day gets closer. 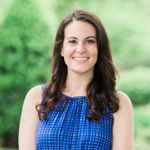 Your wedding registry should be created and up on your wedding website when shower invitations go out—and your bridal or couples shower hosts should include your wedding website on their invitation. 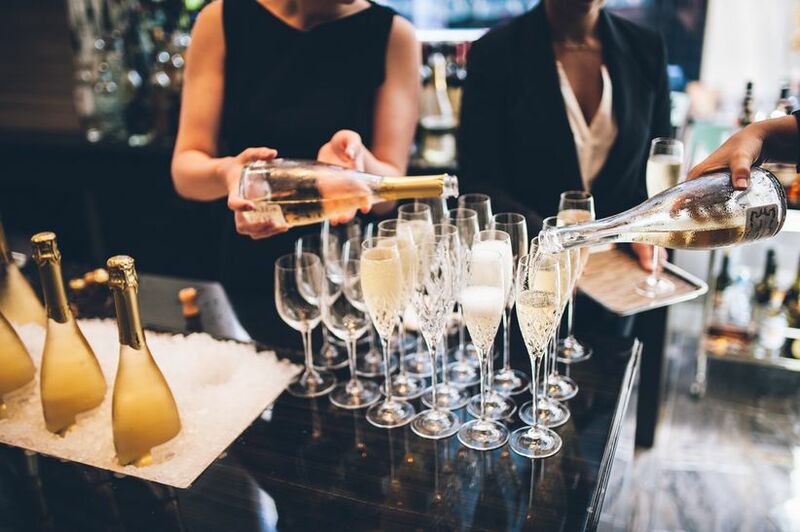 Most shower guests will opt to shop from your registry, so make sure that you have gifts in a variety of price points, especially on the lower end, since guests who buy both shower and wedding gifts will want more affordable options for this pre-wedding event. And guests who can’t make it to the wedding but can come to the shower will certainly be sending you something from your registry. Save the dates should go out at least six months before the big day, but is this when to register for wedding gifts? Yes! 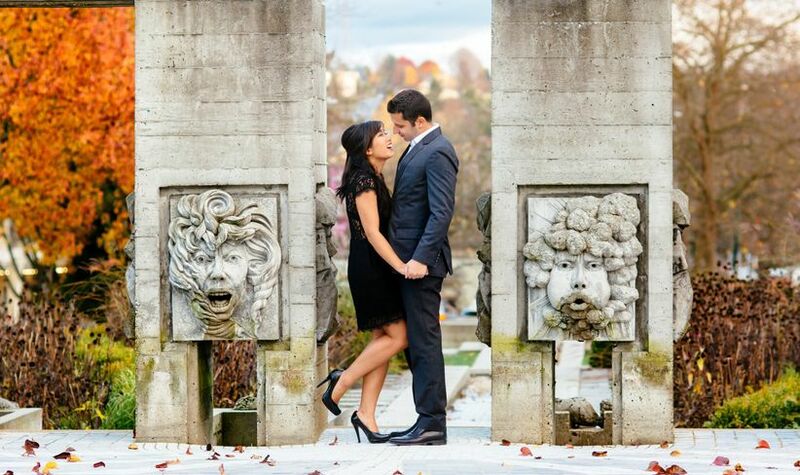 Many couples like to have their registry fully completed before they go out. 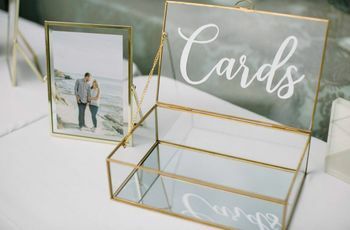 Guests who aren’t able to make it to the wedding will likely purchase their gifts from the registry and send them your way, even before your wedding invitations are stamped. 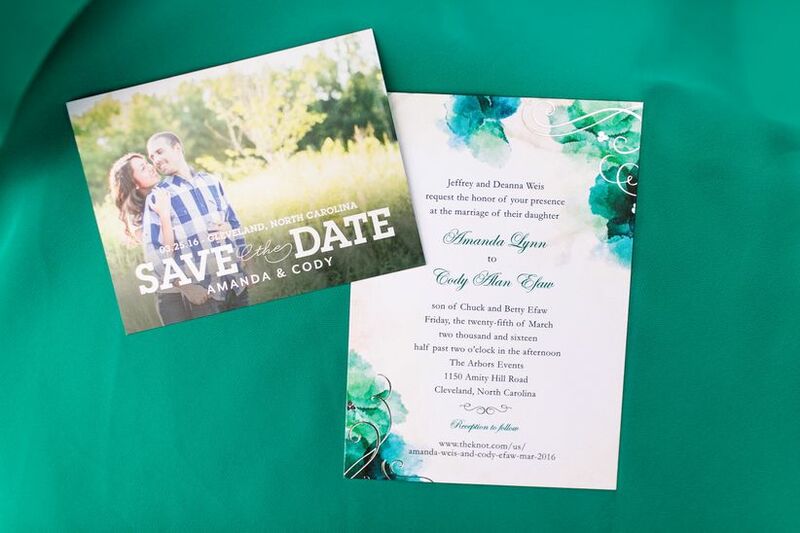 Include your wedding website info on your save the dates, and make sure your site has a link to your registry. If you didn’t get a registry up before your pre-wedding events, at a bare minimum you should create one before you mail your invitations. Guests purchase gifts at different times—some, the second they open that invitation, others the day before you say “I do.” If you didn’t get a registry up for all of the pre-wedding events, your invitations being mailed is the final wedding registry deadline.